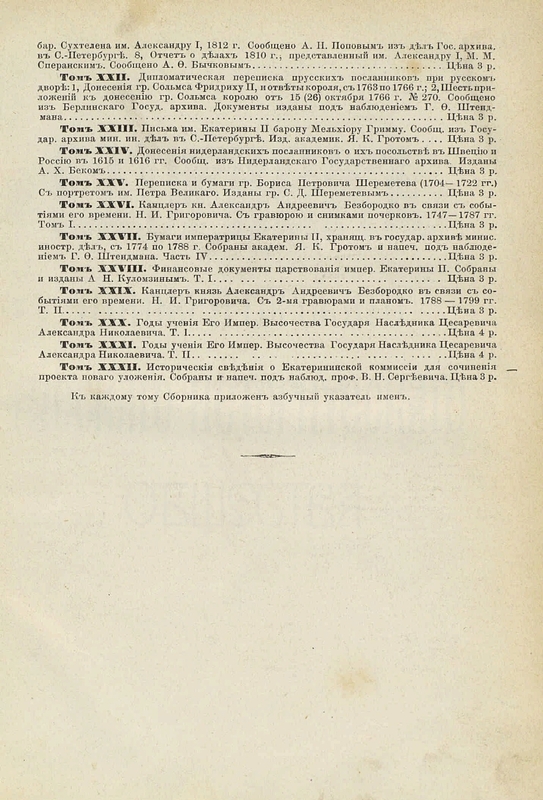 The title: 1867-1873 Collection of the Russian Historical Society. Place of publication: Vol. 111, 114, 117, 120, 124, 126, 130, 138 Yuriev; 137, 142 Moscow. 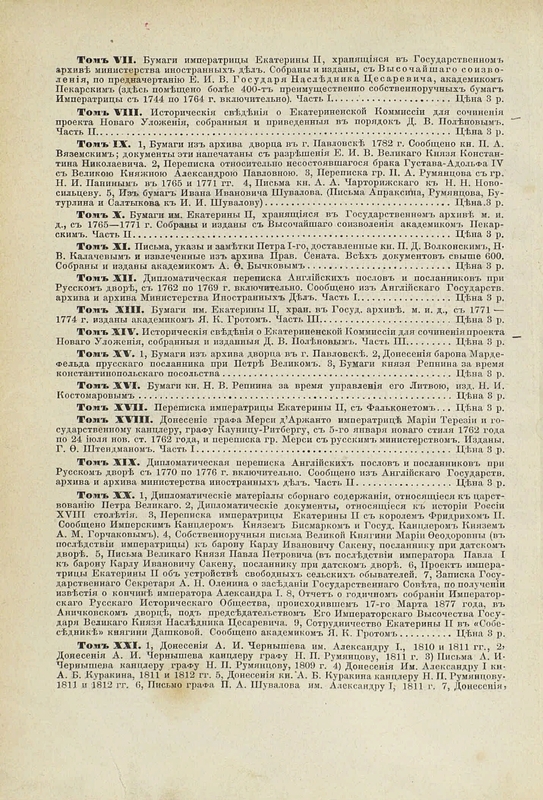 Contents of the published volumes of the Collection of the Imperial Russian Historical Society. T. 1-148 (1916. T. 148. S. I-X, last p.) . 1. 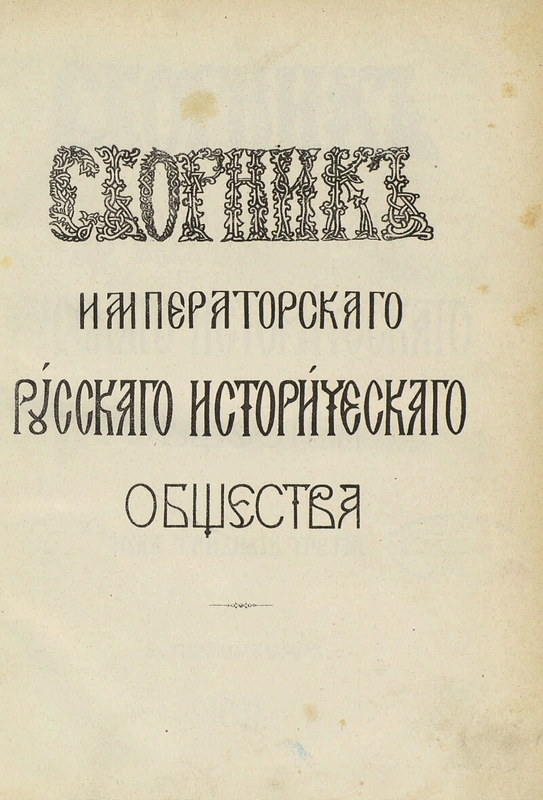 Russia - History - 15 - 19 centuries. - Periodicals. 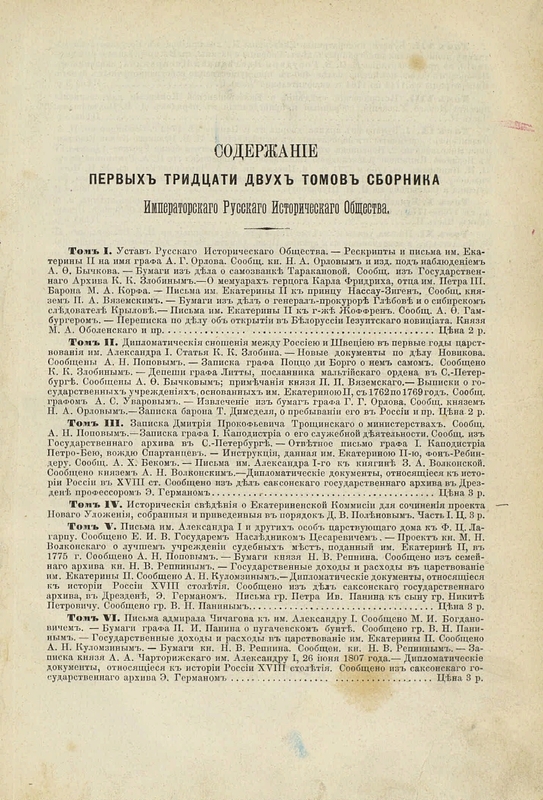 Papers in French and German, with translation into Russian. Contents: Letters from Baron Melchior Grimm to Empress Catherine II, with attachments; Letters from Ernest-Johann Biron to the messenger gr. 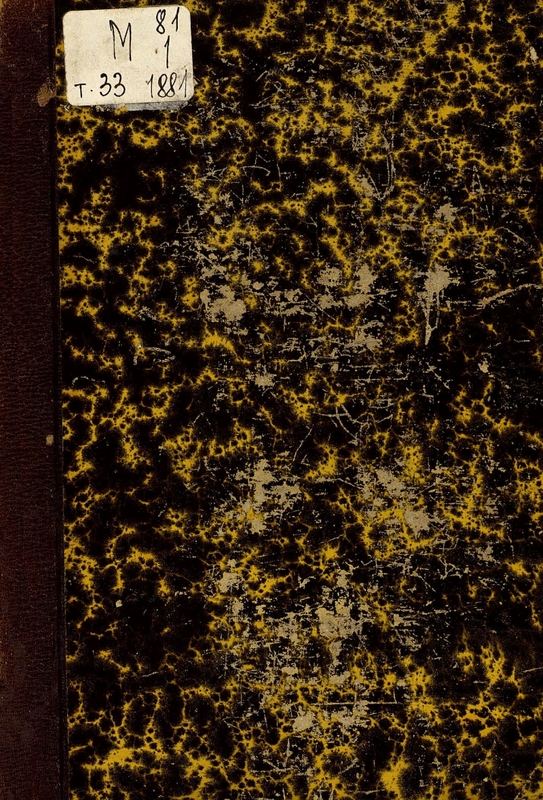 Hermann Keiferling; Letters from Diderot to Empress Catherine II, with notes. - Alphabetical index of personal names: p. 537-551 . 1. Catherine II (Empress of Russia, 1729 - 1796) - Documents and materials. 2. Power (collection). 3. Domestic serials and continuing editions (collection). 4. Russia - Politics and Management - 1762 - 1796 - Documents and materials.